Sarah has been passionate about fitness since she got her first Jane Fonda book and audio tapes in 1983! She started working in health clubs in ’95 and set up energy flow fitness in 2003 as personal trainer and Pilates teacher. In 2007 she realised that there weren’t enough hours in the day to Bring up three small children run your own business and keep up-to-date with general personal training and Pilates, so she started building the pilates equipment studio and specialised purely in Pilates. 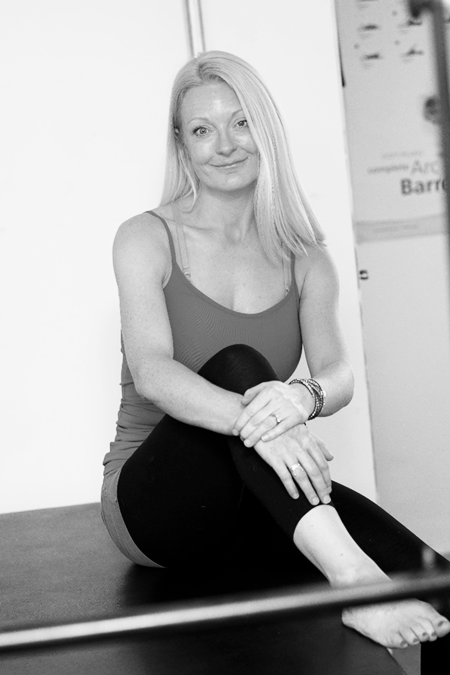 Since qualifying to teach Pilates mats classes 13 years ago she has continually studied with a wide range of world renowned teachers and training companies in order to broaden her knowledge and provide her loyal clients with fresh and challenging workouts year after year. Living in Chorlton and working from home, Sarah’s world is a busy blend of family, pets and clients throughout the day at the custom-built garden studio lovingly known as “the posh shed”.